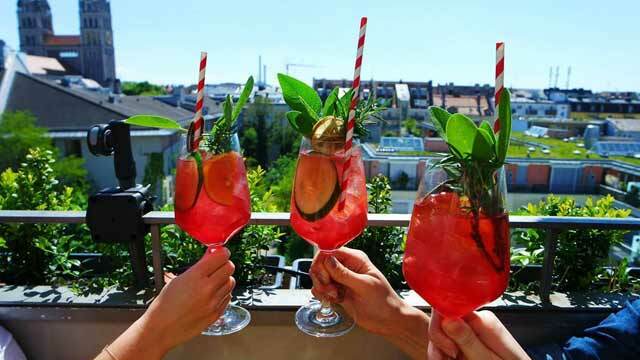 A complete guide to the 5 best rooftop bars in Munich in 2019. 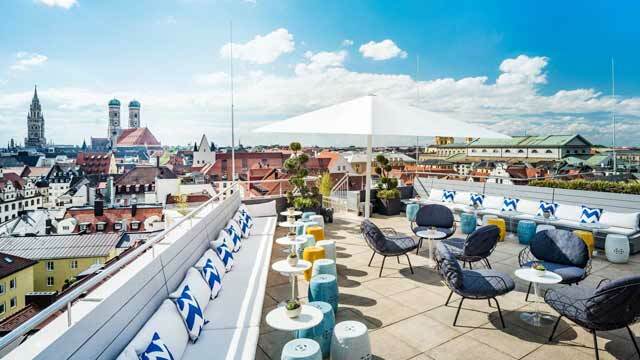 Here you'll find the best Munich roof terraces with all info you need about each rooftop. Opening hours, dress code, locations and photos. 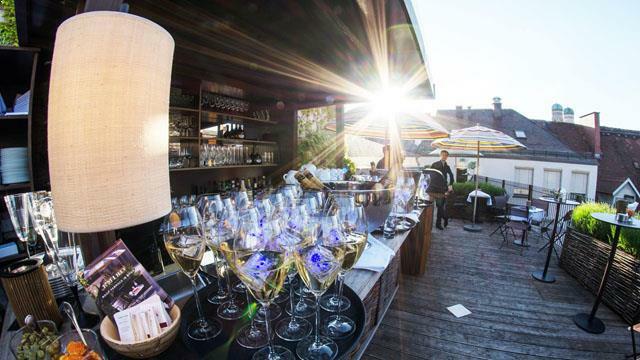 If you like good quality of service, food and drinks – Munich is a great rooftop city. The climate contributes that the rooftops here are open for more then 7 months a year. And the views you get in the summer are breathtaking. 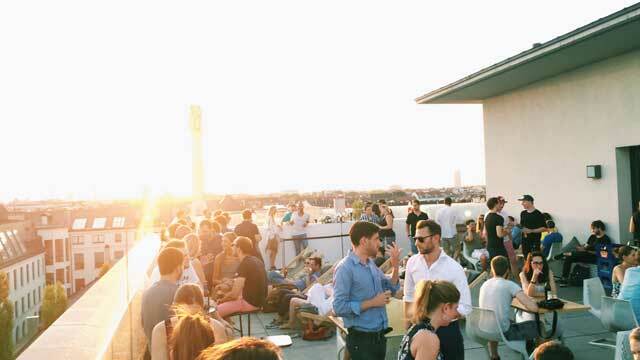 So, which is the best rooftop bar in Munich? 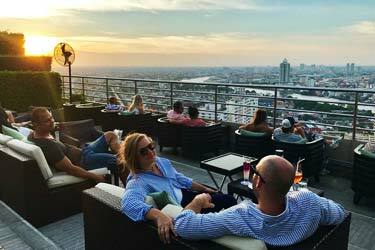 Scroll down and find the Munich rooftop bar best suited for you. Or use the Munich rooftop map in the bottom right corner. Stunning rooftop bar located on the roof of one of Munich's most exclusive hotels, the Bayerischer Hof. Not just a rooftop bar, but also a rooftop spa, so you can either visit to mix pool and sauna with drinks and bites, or you just visit the bar. 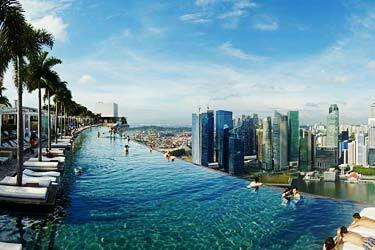 From the 7th floor terrace you get a magnificent 360-degree view of the entire city. Open daily from early morning, Blue Spa Rooftop is a great spot for some luxurios and relaxing cocktails and bites in the sun, or for cool Polar Bar visits in winter. 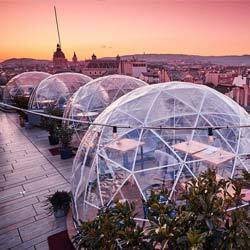 Situated on the roof of the Technical University of Munich, this indoor café expands on to a terrace where you get a spectacular 270-degree view of the city skyline and its surroundings. Quite simple in decor, but then this is not a fancy rooftop bar, but rather a café that comes with a great roof terrace as a bonus. The menu offers both coffee, tea and juice but also beer, cocktails and some really good food. Great spot for both a breakfast when the sun rises as well as relaxing drinks to a beautiful sunset. 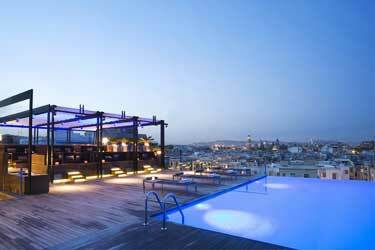 A luxurious and trendy Munich rooftop bar, perched on top of the Mandarin Oriental in the heart of the old town. Recently refurbished, but the view is still the same, a magical 360-degree vista of the entire Munich. Open during the summer months, this sleek bar and lounge mixes chic Asian touches with a Mediterranean look and feel. From the rooftop you can order Pacific bites along with creative and hand-crafted cocktails. A premium spot, vibrant yet chill-out in ambience and attracting a trendy crowd. EMIKO Restaurant & Bar brings a slice of Japan and Tokyo to the heart of old town Munich. Located at the Louis Hotel, the best feature of this modern Japanese restaurant and bar is probably the charming and lovely roof terrace opening up during summer. Cozy decorated with a cool outdoor bar, bistro dining tables, umbrellas and soft lighting towards the evening, here you can enjoy modern Japanese food along with cocktails inspired by the flavours of Asian cuisine. 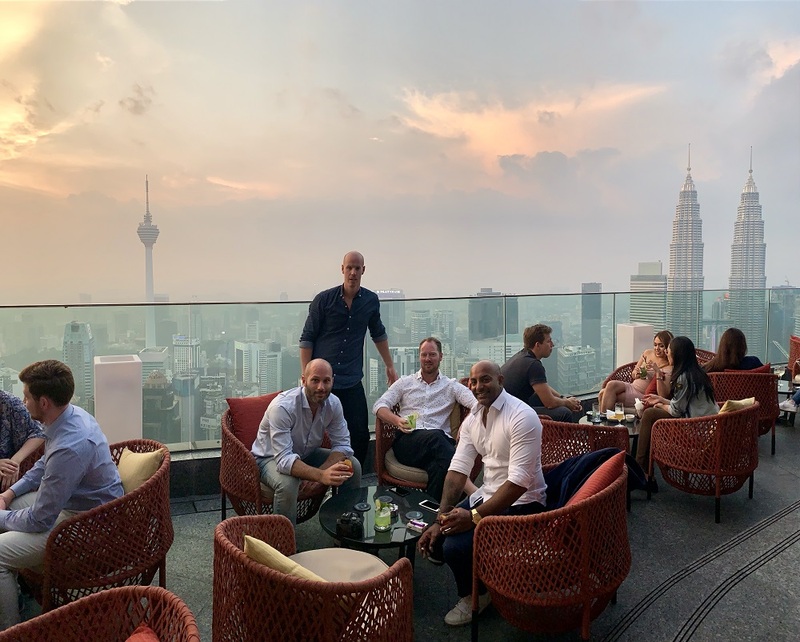 Both a cool boutique hotel and an urban and trendy rooftop bar, offering a cool view over the Glockenbach surroundings, and on a good day you might even catch the alps in the horizon. Quite a small venue, both the inside lounge and the outdoor terrace, but in return the atmosphere is much larger. Hip and trendy but also relaxed and friendly, here you can enjoy creative and well-made cocktails along with a nice selection of bites. Discover the biggest collection of Munich activities, guided tours and skip-the-line tickets. Anything you want you'll find right here. 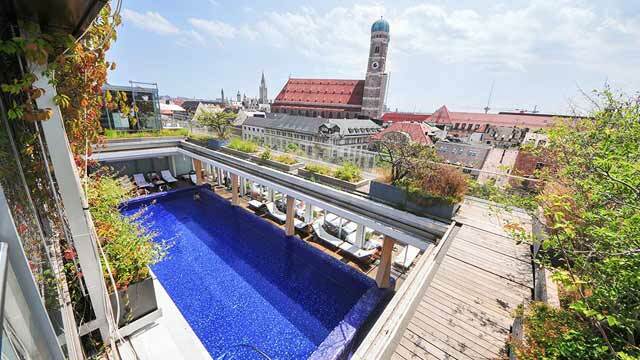 Which are the best rooftops in Munich? In Munich you will find a lot of wonderful rooftop bars to enjoy. The rooftop bars in Munich are often cozy and with good food and drinks. 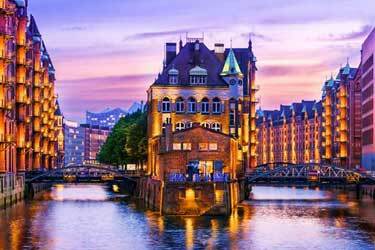 As Munich is a relatively expensive city, you should expect to spend some money if you want to get the most out of your visit at one of the rooftops here. The capital of Bayern and with its 2.5 million inhabitants Germany's third largest city. 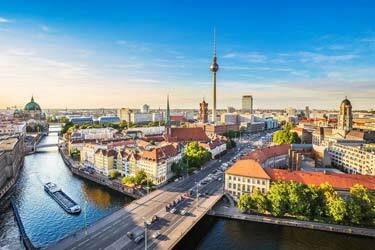 Munich is a very popular destination that attracts crowds of tourists every year. 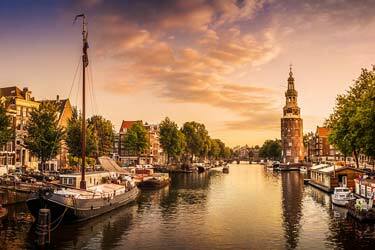 Especially during September and October when the annual beer festival takes place in the city. People from all over the world visit the city and bowls, sings and party in true October fest spirit. 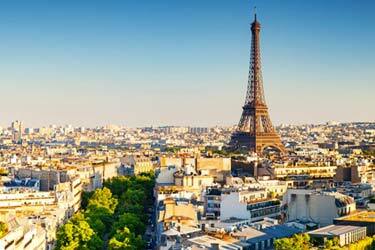 In the city there are lots of attractions with the Olympic Park and its TV Tower as one of the best known. The city is also an important industrial city where most German corporations have their headquarters. Inter alia Siemens, BMW, Man AG and others.